We got 14-16″ of snow yesterday and early this morning. It’s very pretty, but it took me a half-hour of digging before I FOUND the mailbox. 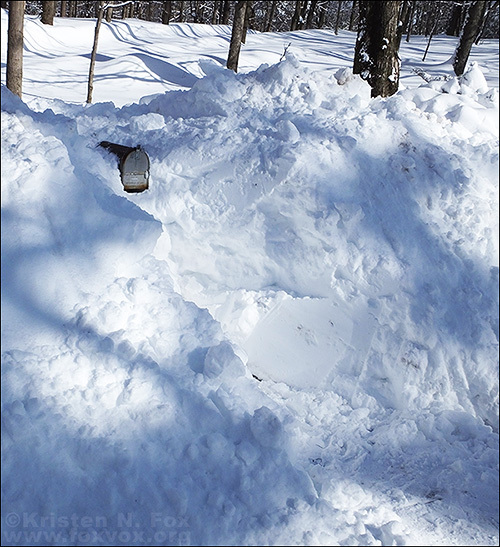 I still have to dig it out so that the mail carrier can REACH it from their truck. Later. Maybe. LOL.